When people think of arthritis, they often think of rheumatoid arthritis, the autoimmune disease where the body’s own immune system attacks the joints. But more common is osteoarthritis, which is caused by mechanical wear and tear on the joints. At the DFW Center for Spinal Disorders, we diagnose and treat spinal osteoarthritis. What Is Osteoarthritis of the Spine? Spinal arthritis involves inflammation of the spinal facet joints. The spinal facet joints in the lower back are prone to developing osteoarthritis. This often produces bone spurs that put pressure on the nerves exiting the spinal column. This leads to weakness and pain in the arms and legs. Osteoarthritis is a degenerative joint disease, where the protective cartilage that cushions the tops of the bones wears down. In the spine, this usually involves the facet joints. It can occur in younger patients after a traumatic injury to a joint or due to a genetic defect involving the cartilage. This damage results in friction between the vertebrae, leading to inflammation. The swollen facet joint now transmits a pain signal through the nerve in the joint. This nerve message causes the back muscles to spasm. Those spasms, along with the joint inflammation, lead to lower back pain. How Is Spinal Arthritis Diagnosed? 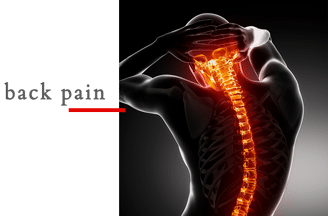 At the DFW Center for Spinal Disorders, we diagnose spinal arthritis with imaging x-rays, computerized tomography (CT scans), or magnetic resonance imaging(MRI). X-rays can show bone damage, bone spurs, and loss of cartilage or discs. CT scans can include myelography, where a contrast dye is injected into the spinal column to show issues such as a bulging disc or bone spur possibly pressing on a nerve. MRIs can show disc damage and areas where discs have become narrow at the locations where spinal nerves exit. Some of the exercises included in our treatment include swimming, walking, and water aerobics. Pain medications come into play, as well. Over-the-counter pain medications and non-steroidal anti-inflammatory drugs are used. But these only address the pain and do nothing to solve the condition. We also utilize physical therapy, massage, and chiropractic treatment when appropriate. 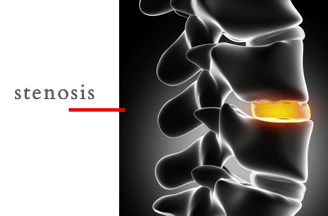 Spinal osteoarthritis is one of the causes of spinal stenosis or a narrowing of the spinal canal that puts pressure on the surrounding nerves. If this compression increases to the point of impacting bladder or bowel function or damaging the nerves, surgery may be necessary. In those cases, we have a variety of surgical methods to decrease the pressure on the spinal cord. If you suffer from Spinal Osteoarthritis, contact our office today at 817-916-4685 to schedule a consultation. DFW Center for Spinal Disorders serves Fort Worth, Dallas, Irving and surrounding areas in Texas.